Edwidge Danticat is the author of several books, including Krik? Krak!, a collection of short stories that encompass both the cruelties and the high ideals of Haitian life. Danticat's 2004 novel The Dew Breaker spins a series of related stories around a shadowy central figure, a Haitian immigrant to the United States who reveals to his artist daughter that he is not, as she believes, a prison escapee but a former prison guard and skilled torturer. 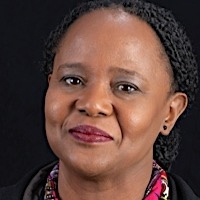 When asked about being a role model for Haitians, Danticat replied, "There are millions and millions of Haitian voices. Mine is only one. My greatest hope is that mine becomes one voice in a giant chorus that is trying to understand and express artistically what it's like to be a Haitian immigrant in the United States." Danticat was born in Haiti and moved to the United States when she was 12. She currently lives in Miami with her family. She received a MacArthur Fellowship in 2009. She has received much praise and recognition for her story collections and novels, beginning in 1994 with Breath, Eyes, Memory (an Oprah's Book Club selection) and continuing through to The Dew Breaker. In that book, her lyrical writing explores equally atrocities and kindnesses, as it moves between the modern United States and the Haiti of memory, quietly and deftly revealing the horrors of the past in prose that is liquid and arresting. Paule Marshall has said of Danticat, "A silenced Haiti has once again found its literary voice." Danticat is the editor of The Butterfly's Way: Voices from the Haitian Dyaspora in the United States (2003), The Beacon Best of 2000: Great Writing by Men and Women of All Colors and Cultures, Haiti Noir (2010), Haiti Noir 2 (2014), and Best American Essays 2011. Her memoir Brother, I'm Dying was a 2007 finalist for the National Book Award and a 2008 winner of the National Book Critics Circle Award for autobiography. Her most recent book is The Art of Death: Writing the Final Story (2017). The New York Times said, "This book is a kind of prayer for her mother—an act of mourning and remembrance, a purposeful act of grieving... Danticat writes beautifully about fellow writers, dissecting their magic and technique with a reader's passion and a craftsman's appraising eye... As a grieving daughter, she wants to understand how others have grappled with this essential fact of human existence; and as a writer—a 'sentence-maker,' in the words of a DeLillo character—she wants to learn how to use language to try to express the inexpressible, to use her art to mourn."